Search engines are constantly working on delivering best results to its users so if want your website to be in those best results you need to make sure you are not making these 5 major SEO mistakes with your website. Backlinks are like votes in favor of your site but it doesn’t mean that more votes (backlinks) would let you win the SEO game. 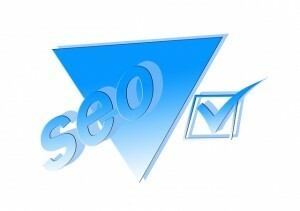 Many people are still focusing on the quantity of backlinks, by doing so they are wasting their link building efforts. A backlink from a trustworthy website/blog is more beneficial to improve your site’s rankings and traffic than several links from low quality websites. So you must not focus on quantity, instead you should focus on creditability of sites you are getting links from. I know curating quality content is hard but does it mean that you should copy other website’s content? You would wonder that several people are still doing it, they are either copying other website’s content or they are just altering the content a little bit and posting it on their site. This type of duplicity is strictly prohibited according to Google webmasters guidelines. Google says to focus on creating original piece of content for a specific topic or keyword. Internet is already flooded with spam content & nobody has time to read the duplicate and unworthy content. Linking a webpage to an anchor text is a way to tell web crawler about a same themed page. Tailoring anchor text is not only important for search engines but also important for users as they can find related information by clicking on hyperlink. However most of the people are making mistakes while linking important web pages to non relevant anchor text. Linking to texts like click here, find more information is not something a search engine will appreciate. Rather than doing this you should focus on related and descriptive key phrases that will automatically tell users what kind of information they are going to see when they click on an anchor text. Visuals tells a better story than textual content, that is why Infographics & images are helping brands to create awareness as well as spreading information. But too much use of media content would slow down the speed of your website. Apart from it search engine crawler struggles reading flash content and text written in images. So it is better to use limited images to tell your story so that search engine can properly index your website. Neither users nor Google likes outdated content. Freshness of content matters a lot for search engines, they don’t want to show old statistics and information to their users. Therefore, you must update your site regularly to get ranked for new key phrases. There are several other SEO mistakes people are making with their websites like grammatical errors in content, broken links, duplicate Meta tag and description etc, but above five mistakes are major and very common to see. Hence, it would be better for you to immediately evaluate your website/blog to ensure that everything is fine from SEO perspective.